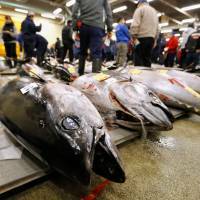 A bluefin tuna fetched ¥36.45 million ($323,000), or ¥90,000 per kilogram, Friday at the final new year auction held at Tokyo’s Tsukiji fish market before its planned October relocation. 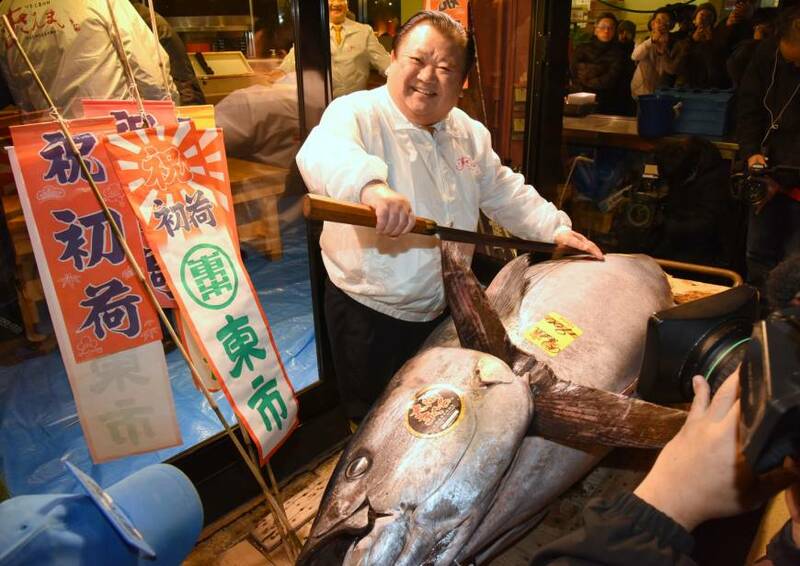 The 405-kilogram tuna, the most expensive fish sold at the opening 2018 auction, was landed in Oma, Aomori Prefecture. It was purchased by Yukitaka Yamaguchi, head of wholesaler Yamayuki Group. 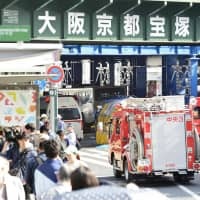 He said the price he paid was “cheaper than expected,” adding that he is “thankful” for his time learning his trade at the aging market, which has long been one of Tokyo’s top tourist attractions. 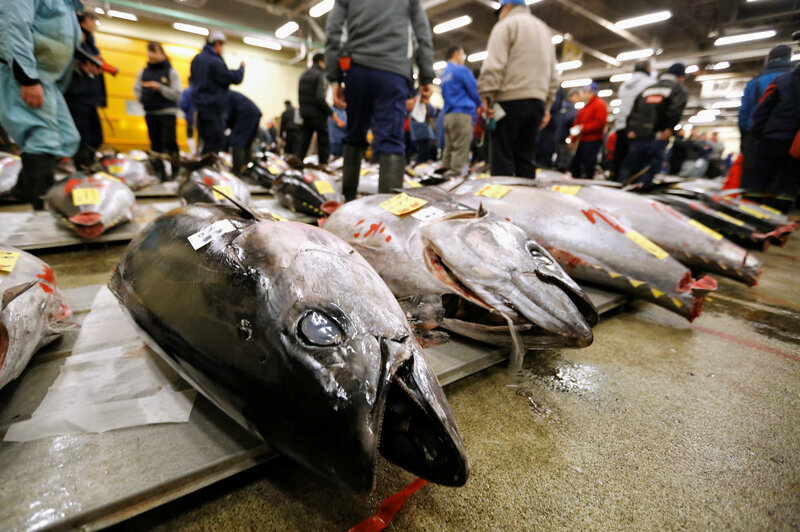 The tuna will be sold to a company that runs restaurants in Tokyo’s Ginza district and abroad. 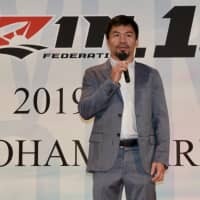 This year was the first in seven that the Tokyo-based Sushi Zanmai restaurant chain operator Kiyomura Corp. was unsuccessful in bidding for the top-priced tuna at the new year auction. 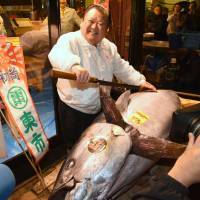 On Friday, the company paid ¥30.4 million for an Oma bluefin tuna weighing 190 kg. The ¥160,000 per-kilogram price was the highest paid at the auction. As the Tsukiji market’s facilities have become obsolete, the Tokyo Metropolitan Government plans to move it to the nearby Toyosu waterfront district. The market has been operating in Tsukiji since 1935. The new Toyosu market was initially scheduled to open on Nov. 7, 2016, but Tokyo Gov. 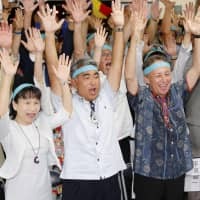 Yuriko Koike pushed back the plan amid concerns about soil and air pollution at the site, which was previously used by a gas production plant. Following rounds of talks between the metropolitan government and businesses, a new opening date of Oct. 11, 2018, has been set. The current site of the Tsukiji market will be transformed into a transport hub for the 2020 Tokyo Olympics and Paralympics before a planned redevelopment.